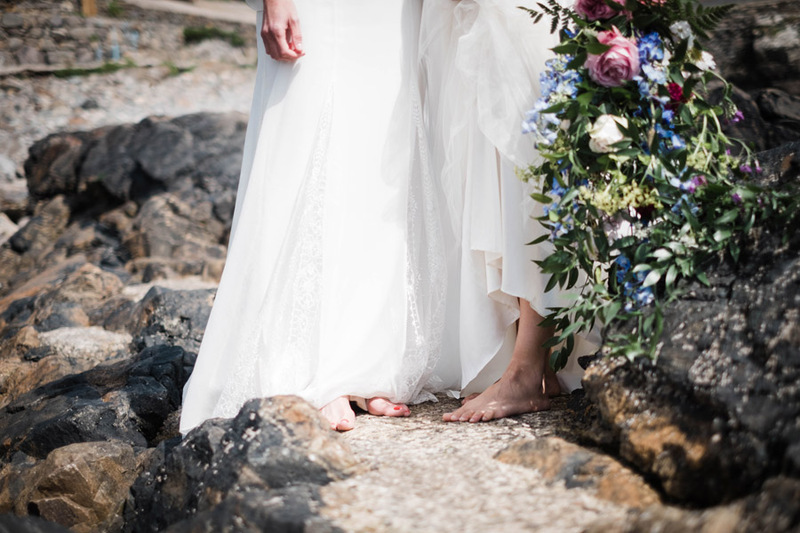 I’m secretly loving the fact that it’s not only wedding season right now, it’s beginning to feel like elopement season too. 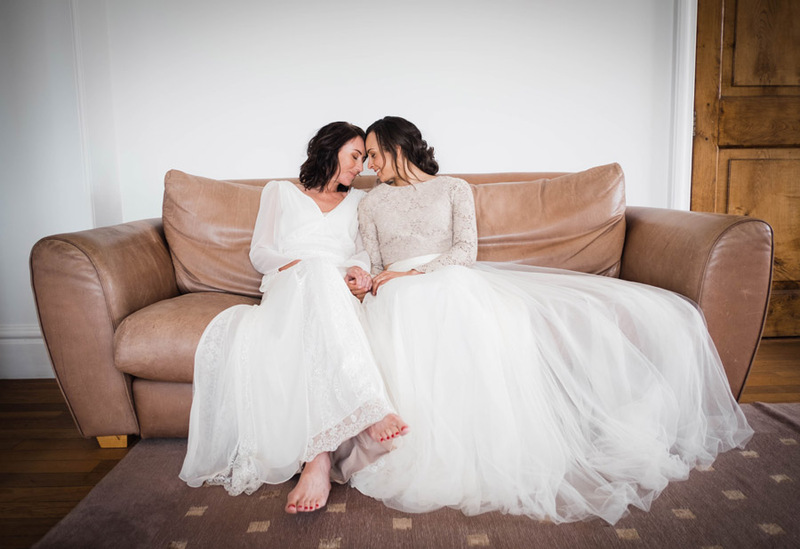 If you’re considering it – just do it! 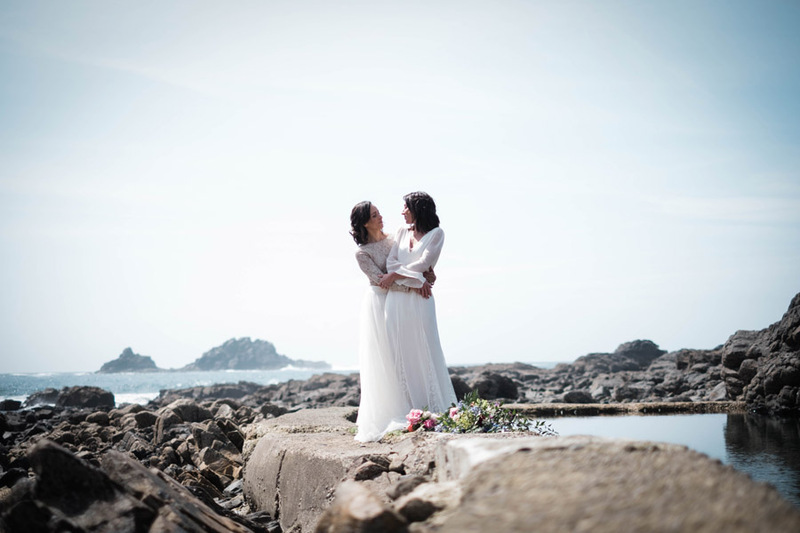 And if you need convincing, check out this week’s TWO elopement features on the English Wedding Blog. 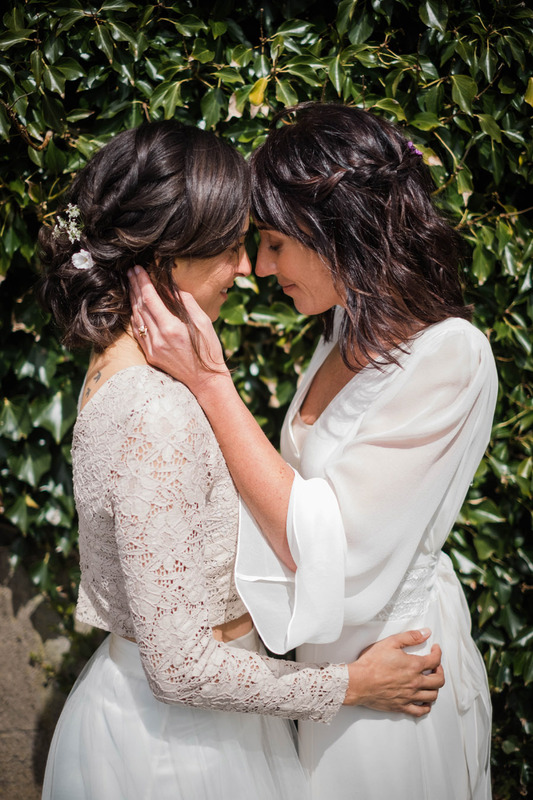 The first we featured on Tuesday (Daryl & Kathryn in Canada) and the second is here for you right now. 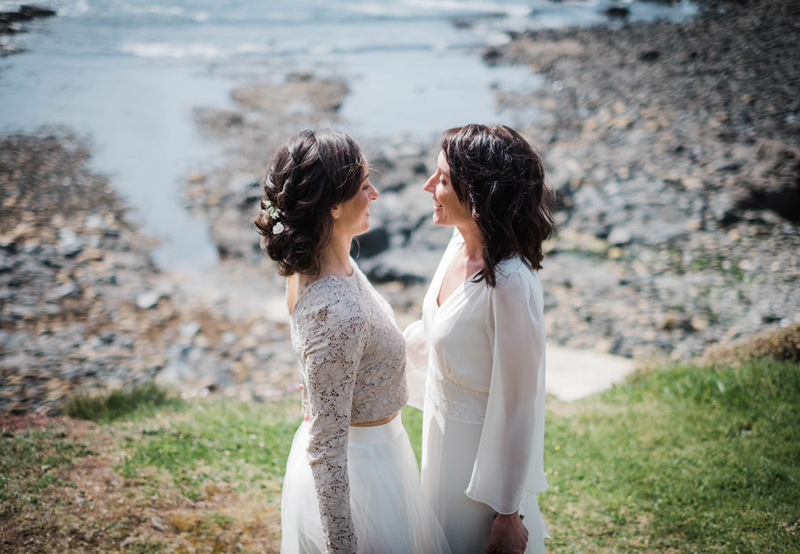 Gorgeous girls Marta & Zoe have been together for 9 years, but with Marta’s family being in Brazil the girls won’t have a big wedding over here. 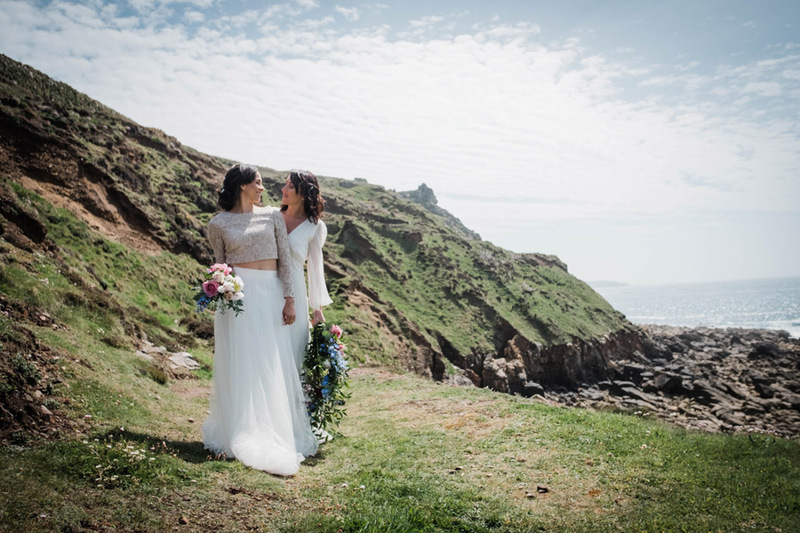 Instead, wedding photographer Verity Westcott and a team of lovely suppliers joined forces to create a beautiful elopement styled shoot with all the ‘trimmings’! 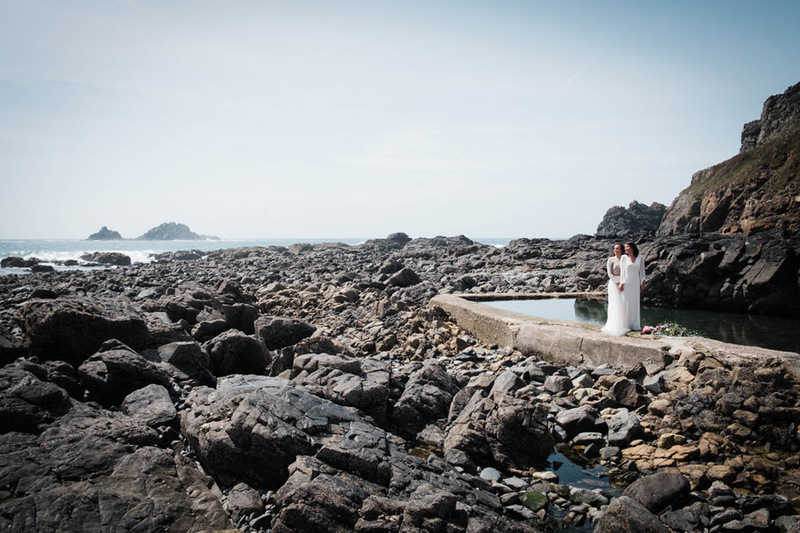 Cornwall is the most beautiful location, don’t you think? 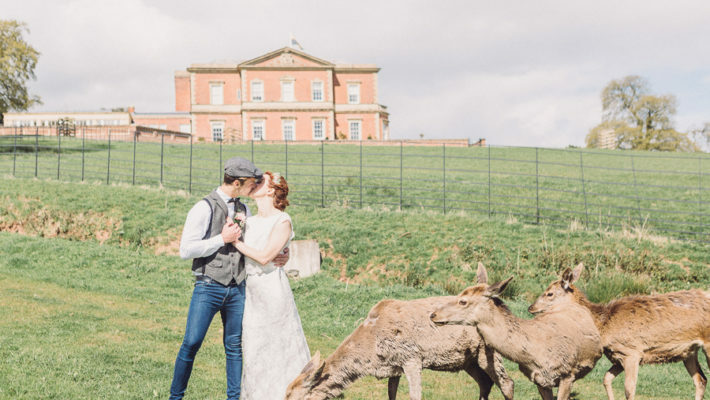 Where would you elope, if you could? 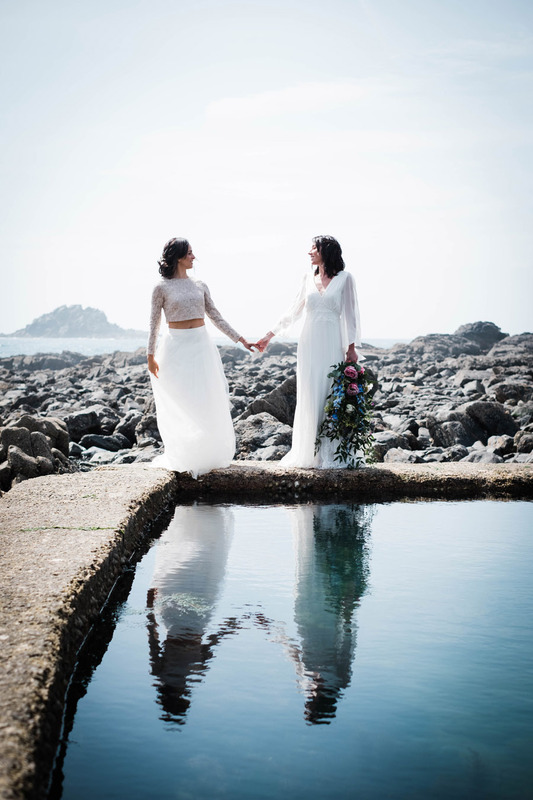 I have to confess I’m a little in love with a) the gorgeous setting and b) that beautiful dreamcatcher tattoo! 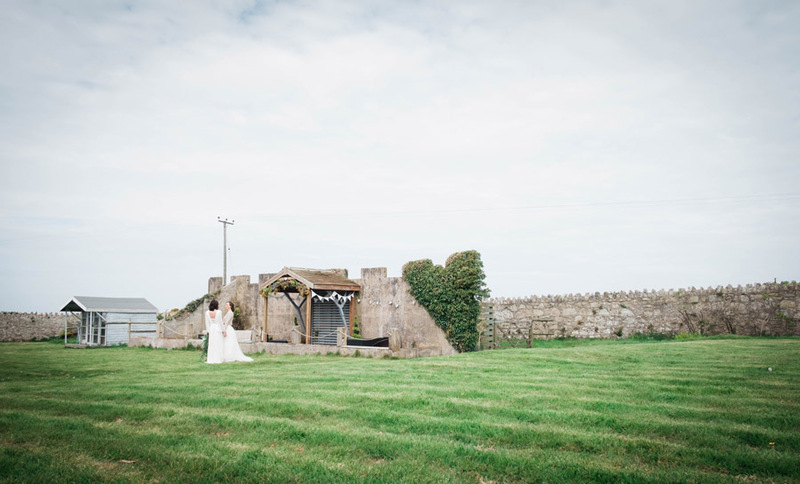 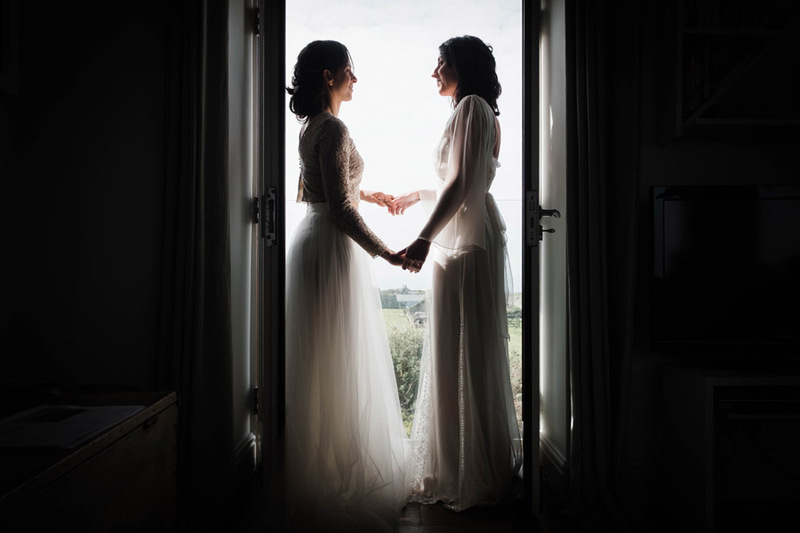 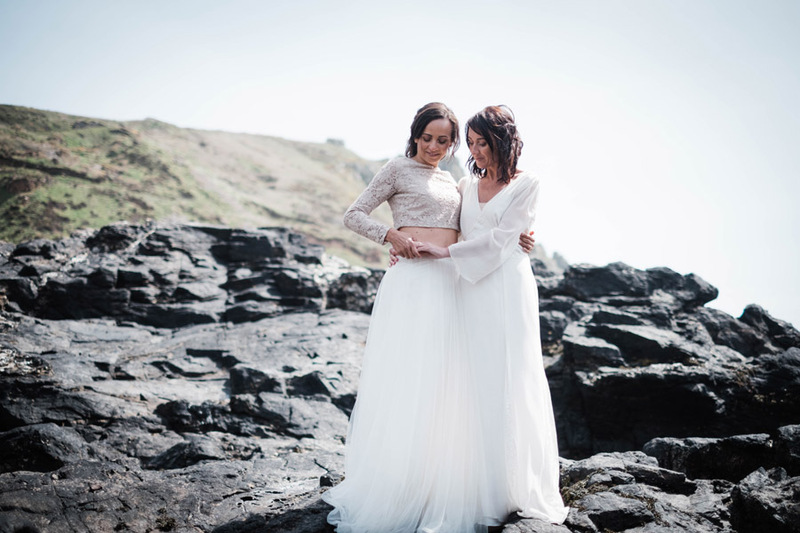 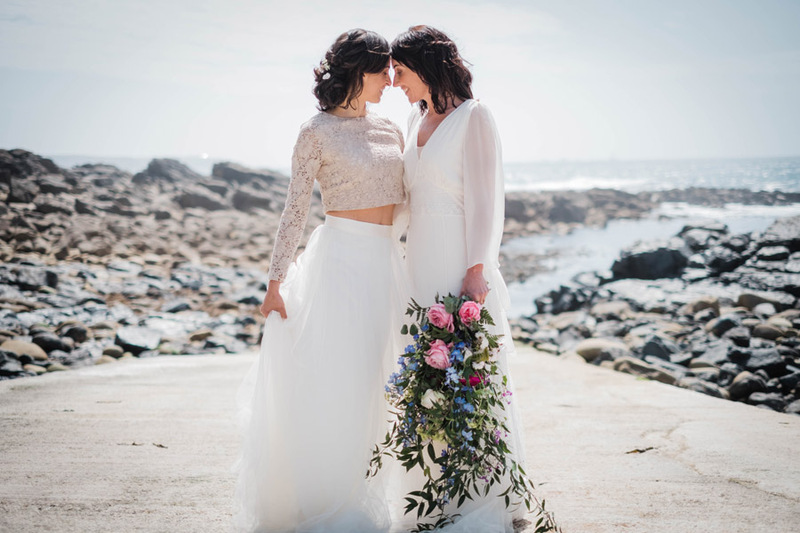 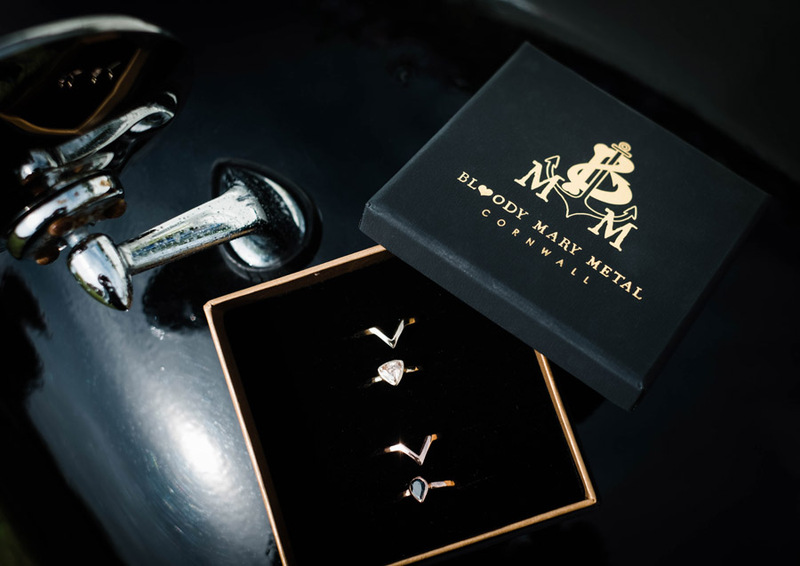 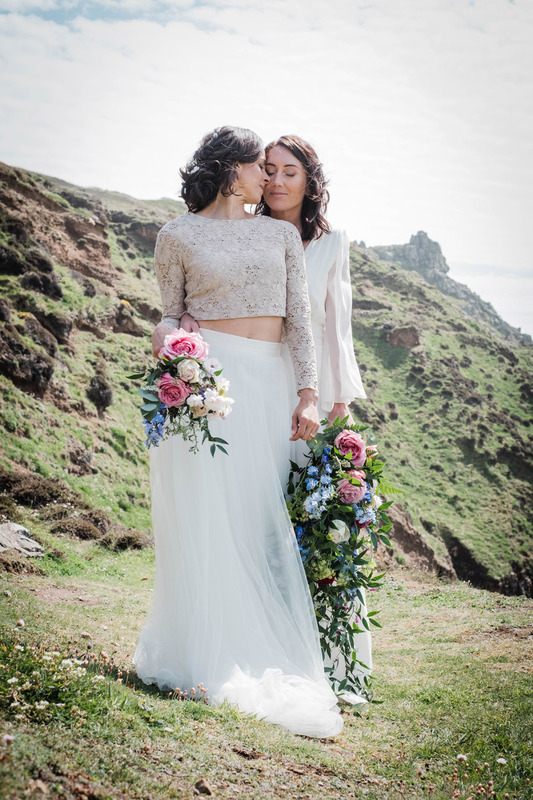 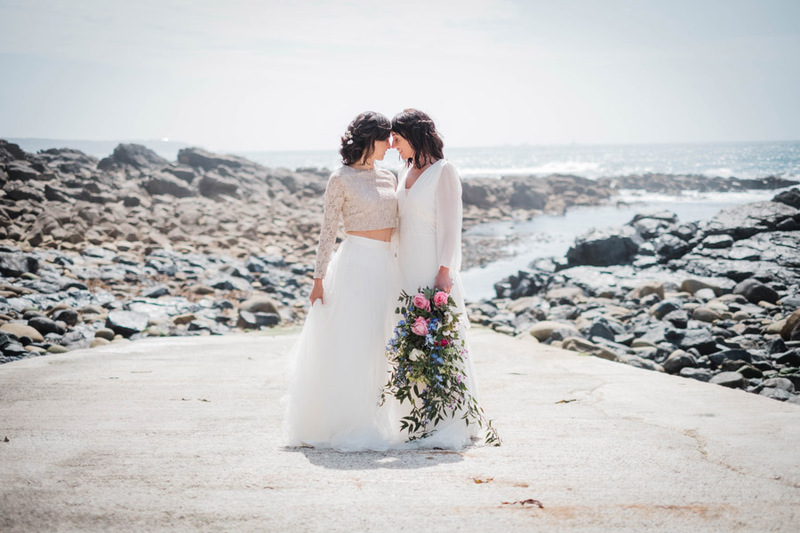 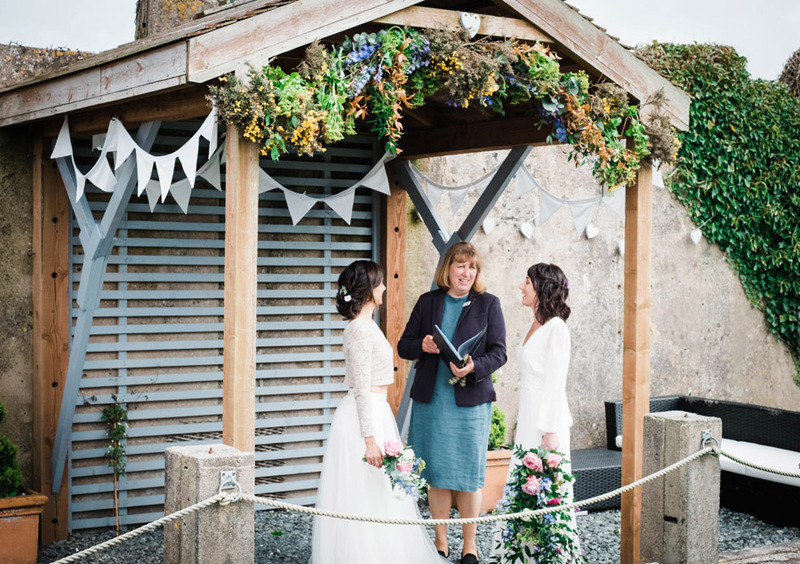 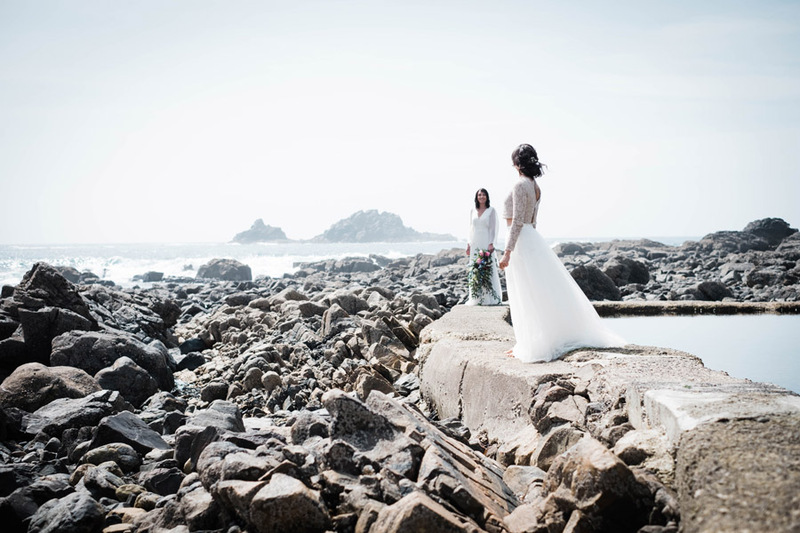 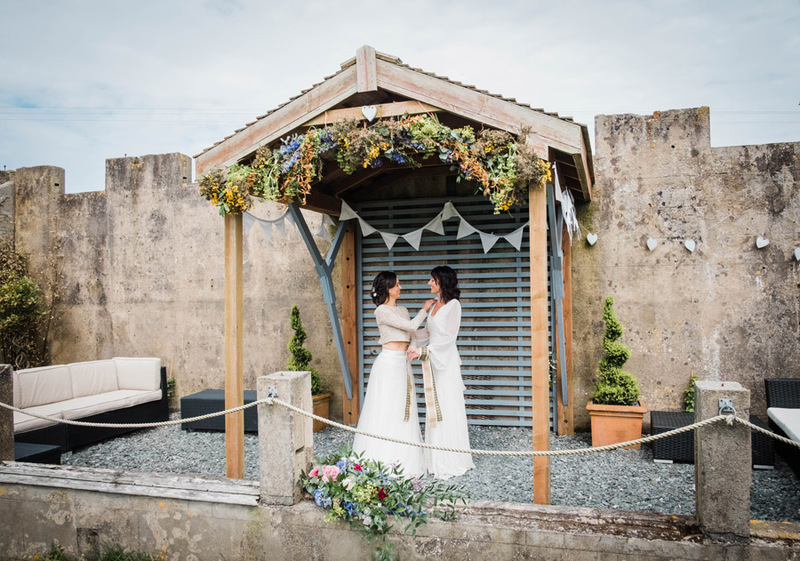 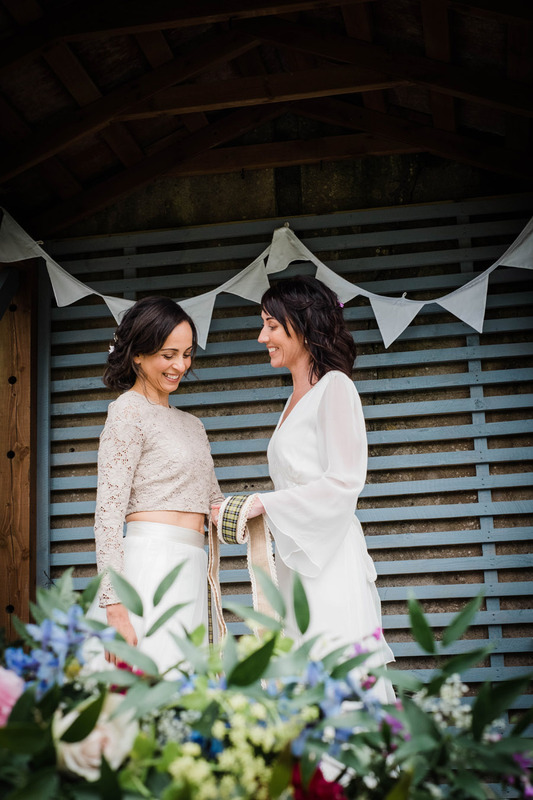 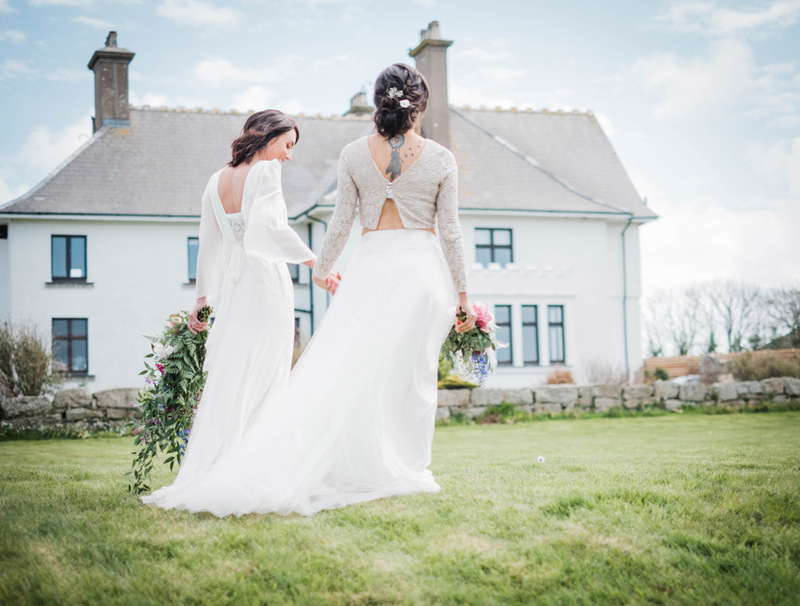 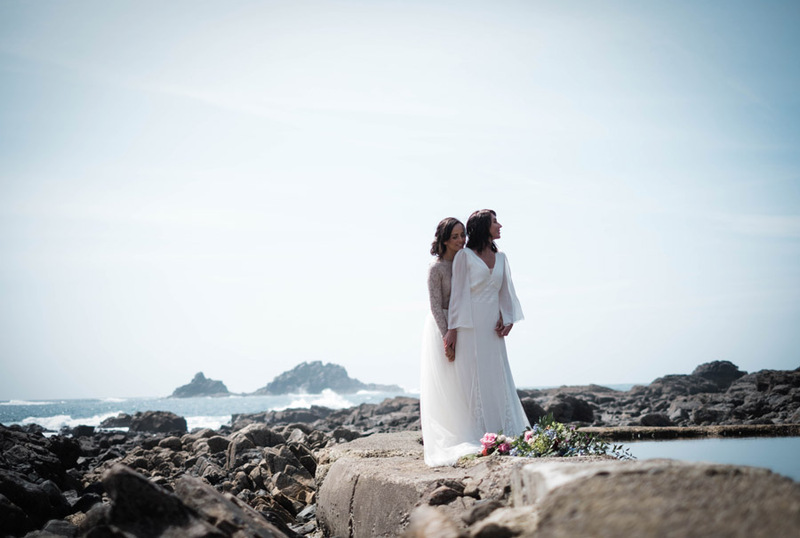 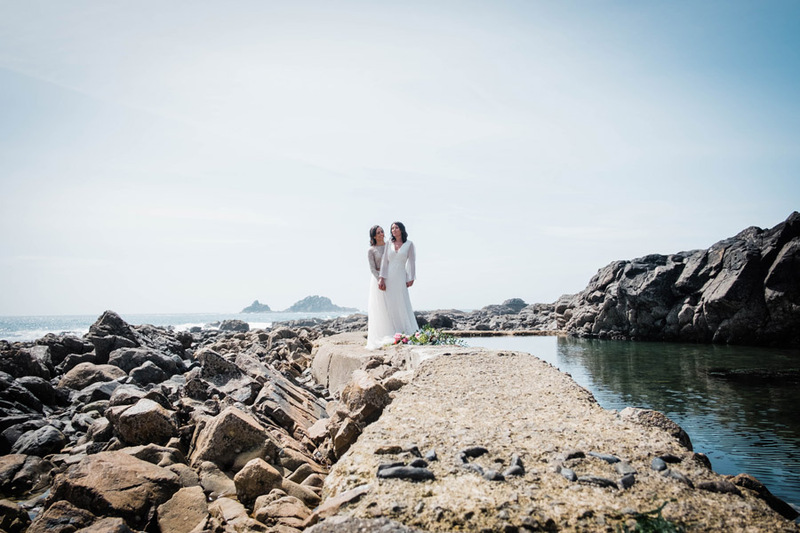 The location is Boho Cornwall – a cosy, coastal retreat where you’re free to have the elopement of your dreams and will be as well looked after as you could wish for. 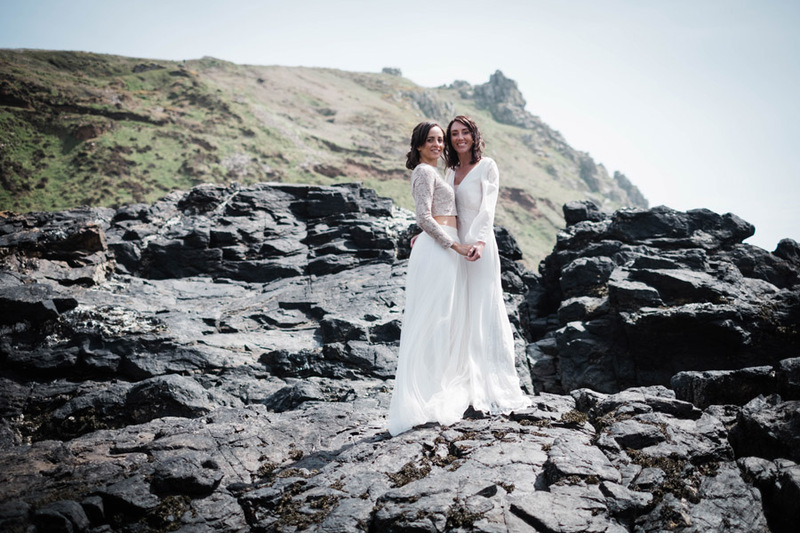 Boho Cornwall is on the west coast, and offers accommodation as well as the perfect place to elope. 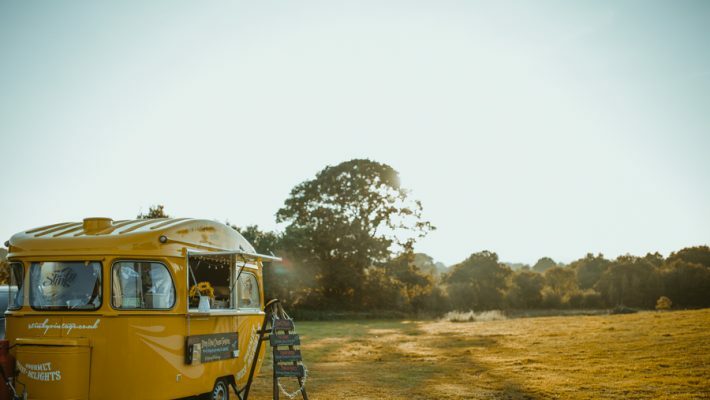 It looks and sounds amazing – and so, so very tempting! 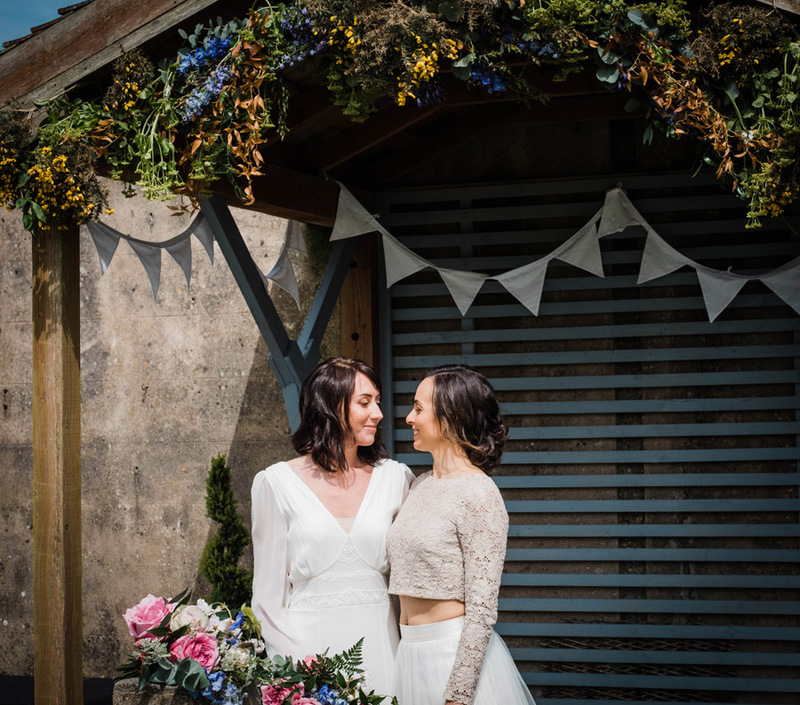 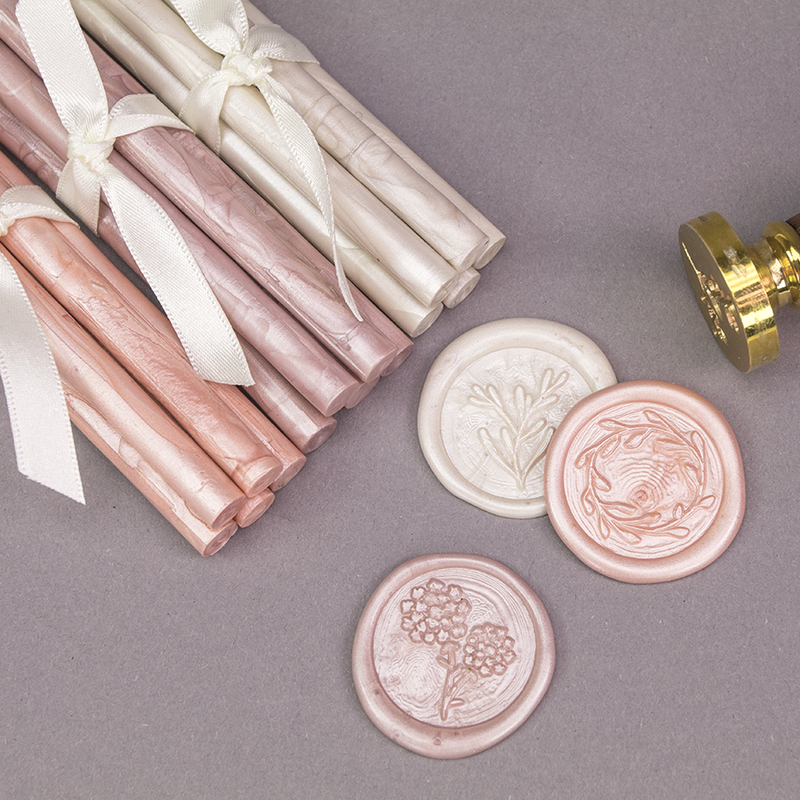 The girls’ flowers are by Twigs & Greens, and they’re incredible, mixing soft colours for a sunny, summer vibe. 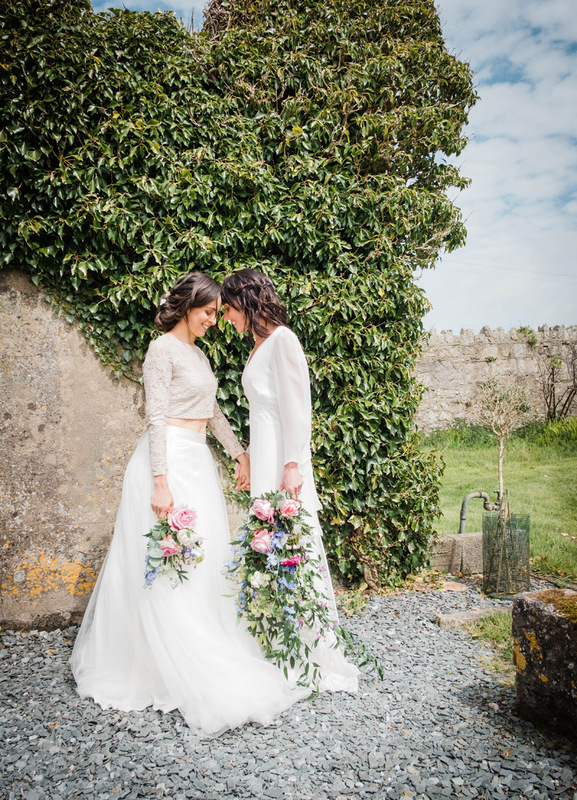 The trailing ruscus gives a stunning shape to a larger bouquet, while the matching flowers (starring lush pink and peach roses and delicate blue delphiniums) for both brides create a beautiful look. 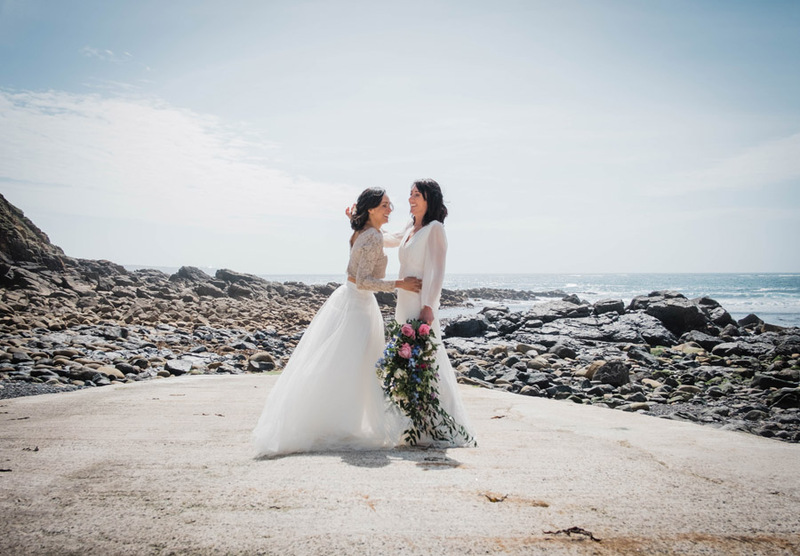 I should mention – the bouquets florists create for photoshoots are their own design: this magic is what happens when you don’t give your wedding florist too prescriptive a brief. 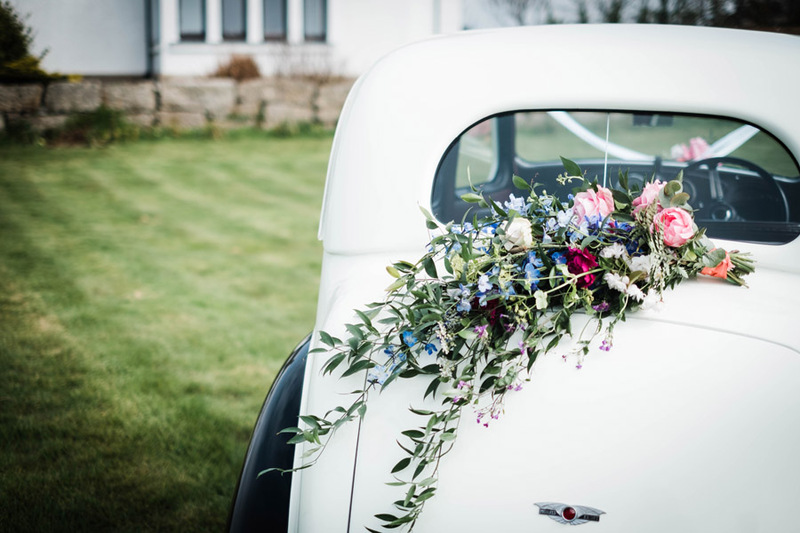 Why not give your florist free rein to create something unique and beautiful for your wedding, without setting out a ‘shopping list’ of precise flowers, colours or foliage? 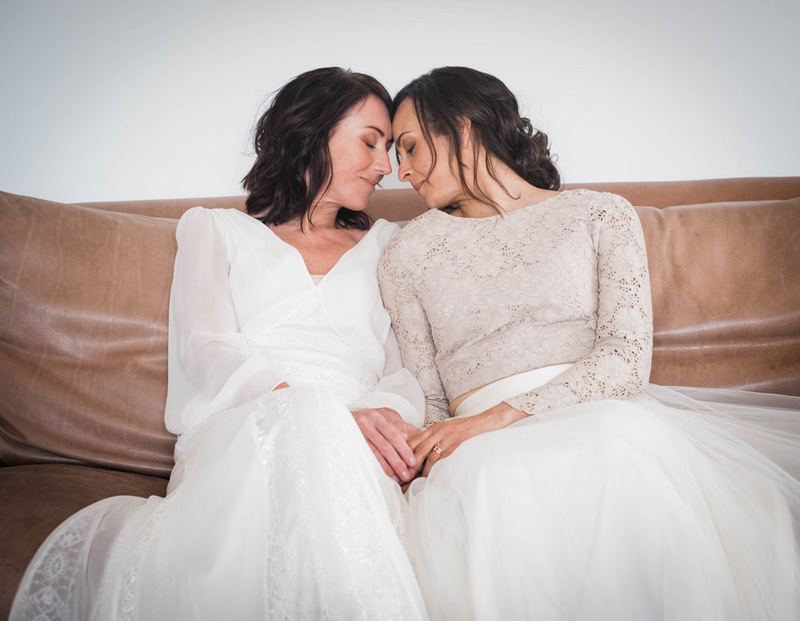 I dare you… and for the record, it’s what I’d do! 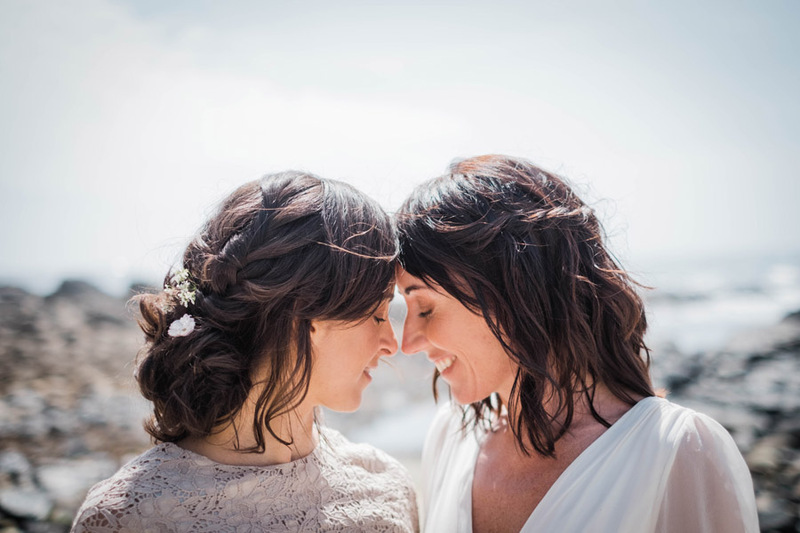 « 7 expert tips to help you have a vegan wedding your guests will love!